Product review: B.right skincare from Benefit. I am always on the lookout for fabulous new facial products, and when Benefit announced that they were launching a complete skincare line, I was ecstatic. I’ve been using Benefit’s cosmetics for about three years now, and the quality of their products has always impressed me. I had little doubt that a line of Benefit skincare products would have the potential to be awesome. I skipped along to my local Benefit store to check it out. The first thing that struck me about the b.right skincare line was the gorgeous packaging. Each of the products comes in its own vintage-inspired container, with a faux cork stopper or lid. The bottles are all a light sea-green colour, which would look gorgeous lined up on a dressing table or bathroom cabinet. The products are designed to be used together as a complimentary skincare routine. My Benefit consultant reassured me that each product also works perfectly well on it’s own.  She demonstrated each of the products for me, and I have to say that I was rather impressed. 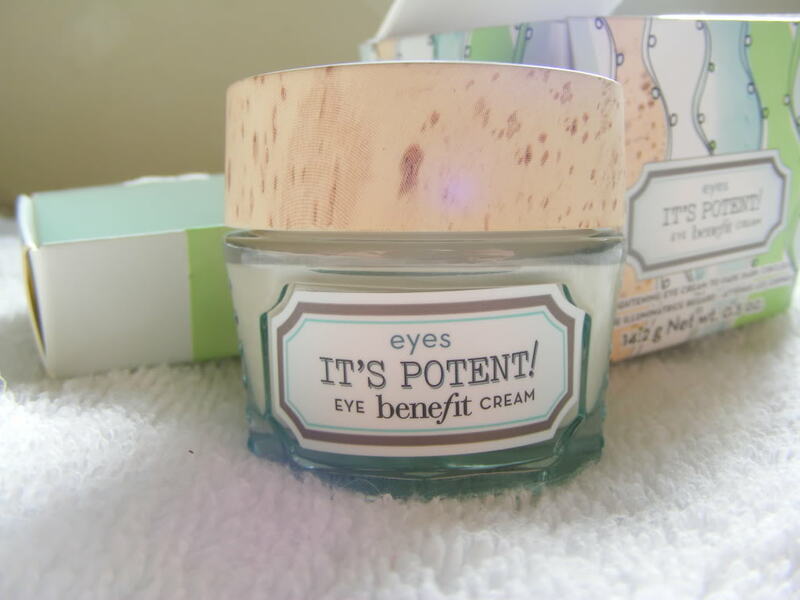 I had been in the market for a new eye cream, so I snapped up a jar of the It’s Potent! Eye Cream to take home with me. I also got a couple of lovely samples of the Foamingly Clean Facial Wash and the Total Moisture Facial Cream. One thing I love about Benefit is that when they give you a sample, they give you a decent-sized sample. I hate getting a tiny sachet of product that’s only got enough in it for one use. Benefit samples usually have enough to use for a week or more, so you actually get a good idea of how your skin reacts to the product, which makes me feel a lot more confident when I go to repurchase. While I try to be diligent about washing my makeup off before bed, I’m sometimes a little lax in this department. I currently use a makeup remover and then a separate facial cleanser to rid my skin of dirt and grime. This two-step process can get very tedious, and it’s hard to keep up with it when I’ve had a few late nights and all I want to do is roll into bed. The Foamingly Clean Facial Wash takes off all your makeup as well as lifting away all the grit and gunk your face is exposed to on a daily basis. My skin is quite sensitive, and after washing with the Foamingly Clean my face feels clean and smooth, but not dry and tight. 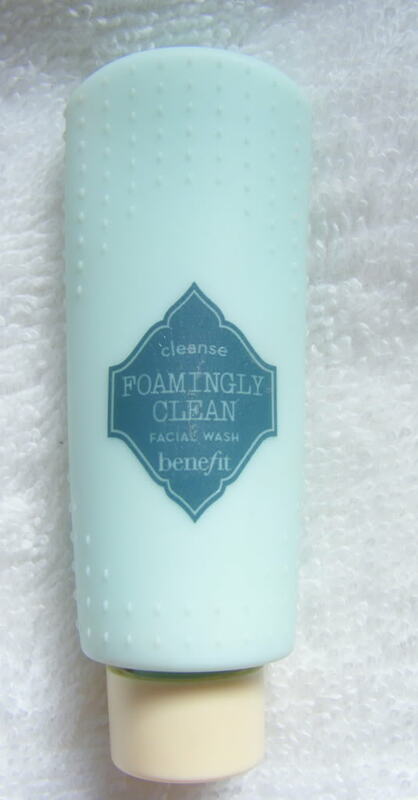 The cleanser is really creamy right out of the bottle, and it foams easily. You only need a very small amount to wash your entire face, so a full-sized bottle would last for ages. The cleanser has a light, soapy scent that doesn’t linger. It rinses off easily and doesn’t leave any residue on my face. After a week of using this cleanser, I’ve noticed fewer breakouts. I have also been waking up each morning with skin that looks refreshed and clear, not dry and dull. I’m very impressed with the cleanser and I will be repurchasing a full-sized bottle once my sample runs out. This lightweight cream offers serious hydration and is perfect for day or night use. I’ve only been using this one at night, to give my skin a potent dose of moisture while I sleep. Once again, you don’t need to use a lot of the product at once. A little goes a long way, which is great, because you don’t have to replace your jar as often. I find that the cream glides on smoothly and sinks into the skin really quickly. It doesn’t leave any oily residue that will make your skin shiny, so I imagine it would look great underneath makeup if you decided to use it during the day. The cream has a light scent that doesn’t linger and doesn’t irritate my sensitive skin. After a week of use, my skin is noticeably softer and more hydrated. My skin tends to get very dry and flaky in winter, and this cream has worked hard to counteract that. 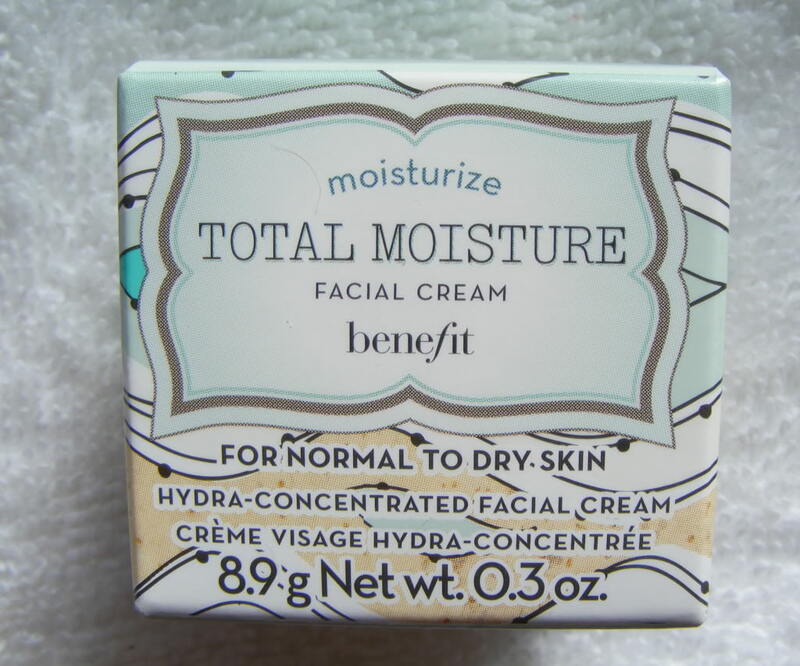 This is a fantastic product for ladies who struggle to keep their skin moisturized in the cooler months. Once again, I believe I will be repurchasing this once my sample runs out. Of the three products I’ve tried, this one is my favourite. A few weeks ago, I decided that it was time to step up my facial routine when I noticed some very fine lines around my eyes. I went on a mission to find a great eye cream that would keep my eyes looking youthful, without bleeding my wallet dry. The It’s Potent Eye Cream is my new eye cream of choice. I’ve been using the eye cream each day, in the morning and again at night. It feels very cool on the skin when you smooth it on, and dissolves into the skin quickly. The skin around my eyes is extremely sensitive, and I have to be extra-careful with the products I use because I wear contact lenses, but this product offered no cause for complaints. 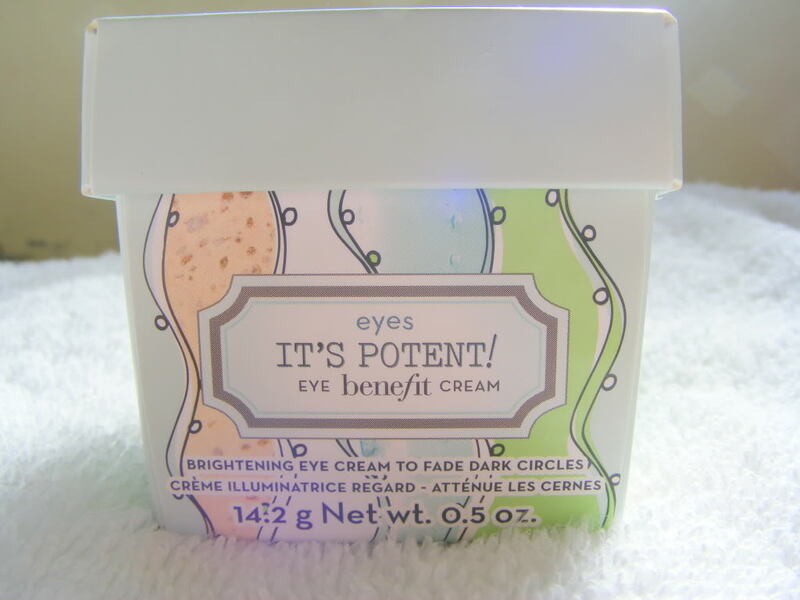 I had no irritation of the eye area after using the It’s Potent! Eye Cream. After a week of regular use, the skin around my eyes is noticeably more hydrated. The fine lines have all but disappeared and I’ve even noticed that the circles under my eyes have gotten lighter. I’ve got dark circles under my eyes that are genetic, and won’t budge no matter how much sleep I get or how well I eat. While the cream hasn’t gotten rid of them, they are much lighter. 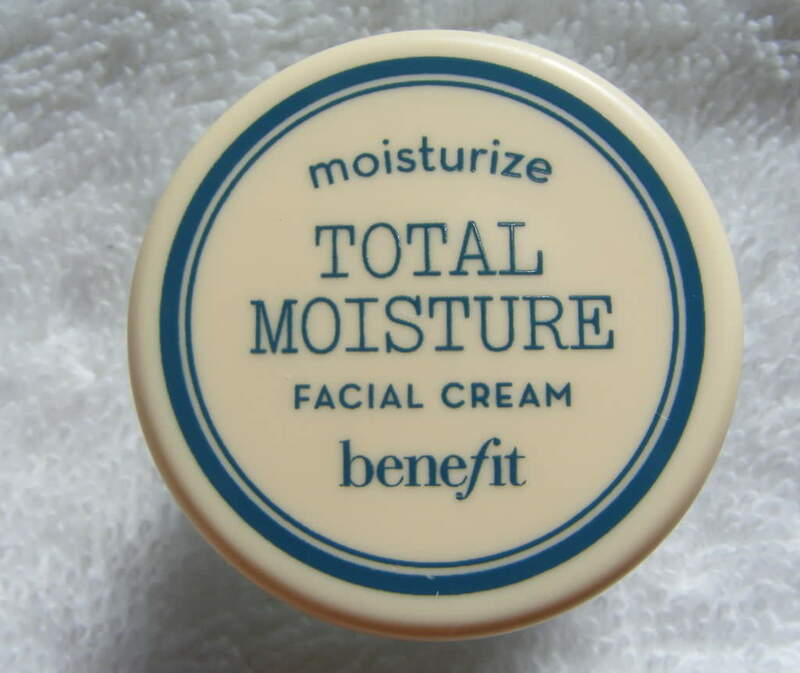 The cream doesn’t leave any residue and is great for wearing underneath your makeup. The It’s Potent! Eye Cream costs $58, which is a little pricy. However, you only need to use a tiny bit each time you apply, so one jar will last at least three months. Eye cream is one product that I’m happy to shell out a bit more cash on, because you don’t want to use a cheap product that will irritate your eyes. The more expensive products also have more active ingredients, so they’re more likely to work well. Although this is more than I would normally spend on a beauty product, I think the It’s Potent! was totally worth the extra money. I’m very happy with all of the b.right skincare products that I tried. I’m now eager to sample a few more to see whether the whole range performs as well as these three products. If you’re looking for some excellent-quality skincare products that do the job and look gorgeous to boot, I highly recommend that you get thee to a Benefit counter and snap up a few of these babies, pronto!